Part Two, and We Were Just Getting Warmed Up for Penang! To cut an inhumanly long story short, we managed to locate the car rental company, buy the ferry tickets as well as some buns before we embarked on an even more inhumanly cruel 3 hour journey to Penang from Langkawi. If the ride was not excruciatingly slow enough, they decided to show pirated versions of John Rambo and half of 10,000 BC with crappy subtitles. The volume of the TV set was woefully low, so I watched the lean mean violent killing machine known to us as Rambo blast his way through a wall of poor souls while listening to Feist. By the time we landed on the Penang jetty, we were beat. Bayview Hotel refused to let us check in as we were under the age of 21, so we had a little time to burn while Yintse’s aunt settled matters. Enter Penang Road. Cendul was the name of the game, but I was not impressed as I am definitely not a cendul sorta fella. 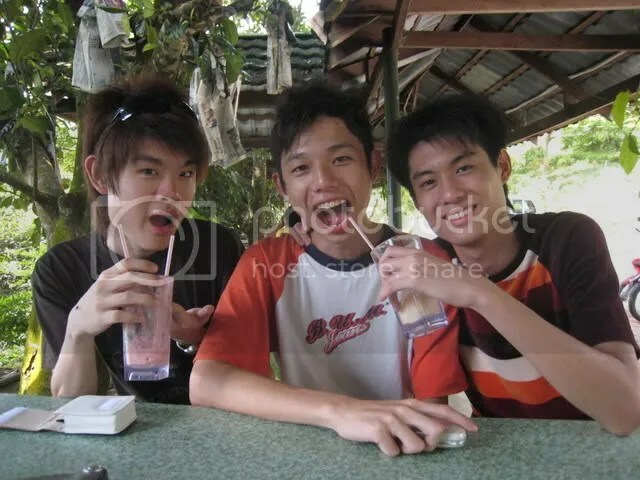 Zhen Long and Yi Xiang were obviously enjoying the famous cendul. Apparently, Phua Chu Kang was a big fan as well. Following much needed showers, we headed toward McAlister Road, arguably home of some of Penang’s best dishes. Suffice to say, the food was magnificent. If I had to choose, the fried oyster with egg and the mushroom chicken legs stole the proverbial food show. The very next day, with our rented white Kancil, we moved toward the Keh Lok Si area in search of more camwhoring opportunities which were proving few and far between in Penang in comparison to Langkawi. We succeeded of course. Nothing can keep a good camwhorer down, that’s for certain. Nothing can keep a good photographer from performing his customary stance as well. And nothing can keep candle princesses from hiding from the sun. Conversely, nothing can stop me from well, being me. The place was really tranquil and beautiful. The view was immaculate. But below was where all the real fun was at as we stumbled upon the famous Penang Laksa stall, and just in time for lunch too! The old guy with the white hair is the mastermind behind this laksa goodness. Kudos for making totally awesome laksa! We were all visibly satisfied. The laksa and sugar cane combination was nothing short of sensational. Our next destination was Batu Ferringhi or the Tropical Fruit Farm to be exact. It took us ages due to the winding roads, but we finally arrived at the fruit haven at around two plus in the afternoon. We opted against going on the fruit tour which included a fruit buffet cause well, it would set us back RM25 per person plus the buffet only consisted on local fruit, total bummer. Instead, we took a peek at the fruit juice menu which contained fruits which I have never heard before in my life. After much deliberation, we went for acerola plus pineapple, pink guava, and hog plum as well as a medium mix fruit basket. And it was mouth openingly good! 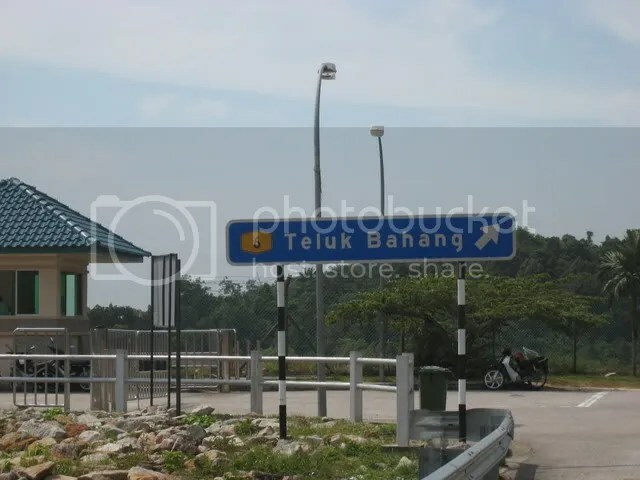 We stopped by Teluk Bahang on our way back to Batu Feringghi. It has a killer view, but that apart, it was pretty much deserted. And the candle princesses strike back albeit with some wind resistance! But the spooky thing was, in the middle of nowhere, they put this sign up. As if driving alone in this Godforsaken place was not bad enough, there was a possibility of “anything unusual” happening!? 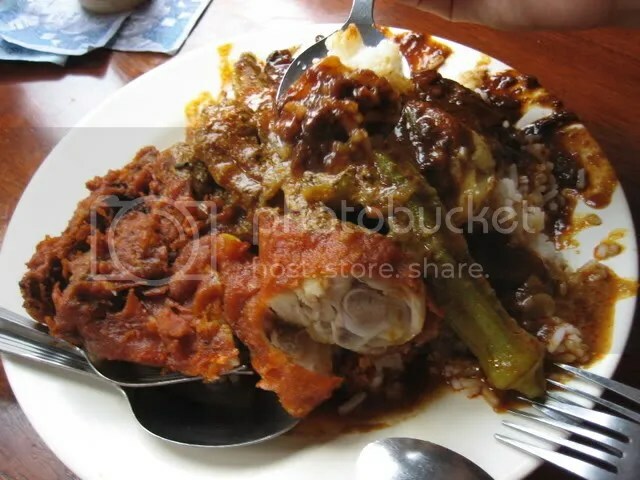 After stopping by Gurney Plaza to purchase tickets for Indiana Jones and the Kingdom of the Crystal Skull, we headed back to Penang Road to try out the best Nasi Kandar in town, and we were not to be disappointed as the “kuah” for the rice was scrumptiously phenomenal even though it was overpriced. 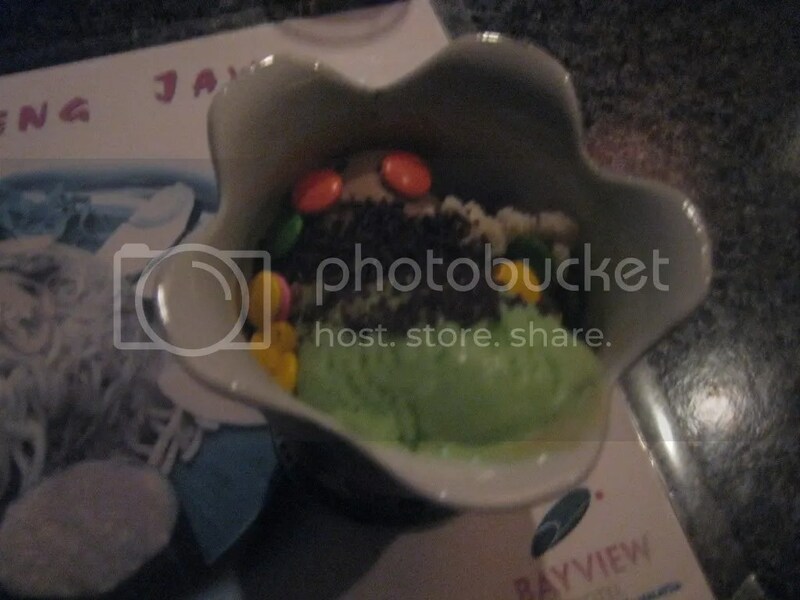 After bumming around our overcrowded hotel room, we headed towards the revolving restaurant in our hotel for the RM20 ice-cream buffet courtesy of Berkeley Farms. 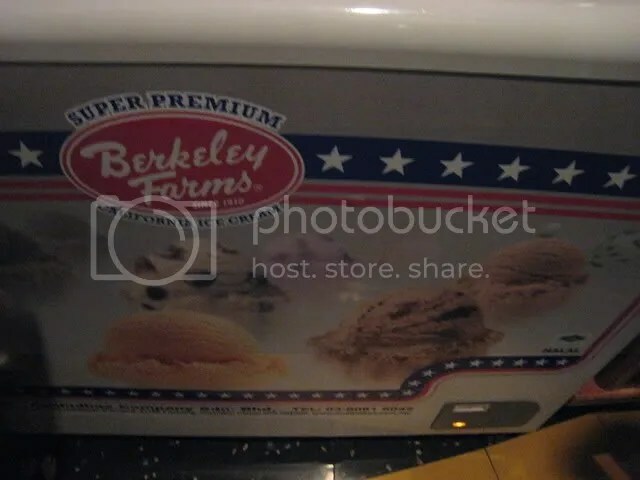 And yes, I have never heard of that brand before, but the ice-cream was not bad. But did we reach Gurney Drive in time for the good food? Did we take too long enjoying the ice-cream that we missed Indiana Jones? Did anyone doze off during that aforementioned movie? That and more when the Good, the Bad, and the Plain Old Lazy returns in a few days. For those who would like to see more photos of the trip, here is the photo album link.